TULSA, OK (KJRH) — It's an increase teachers say was desperately needed, but after a deadline passed it wasn't heard in any Senate committee. Those teachers are now feeling betrayed. House Bill 2304 was sent to the Senate; teachers say it originally included an 8% increase, but then it was dropped to four, and then two, and on Thursday it went away entirely. Teachers say the last cost-of-living increase was more than a decade ago. Since wages have increased in the past decade, they think the pension should increase as well. Teachers say the problems are making them consider leaving the state, and starting over with a new pension plan in a new state. Stephanie Jones is an Emerson Elementary School teacher, surprised and disappointed with the results of this year's bill. "They don't treat even retired teachers right," Jones said, "teachers who have given their lives to the state, so why would they stay here? That's my biggest concern. The second - it just comes down to disrespect. 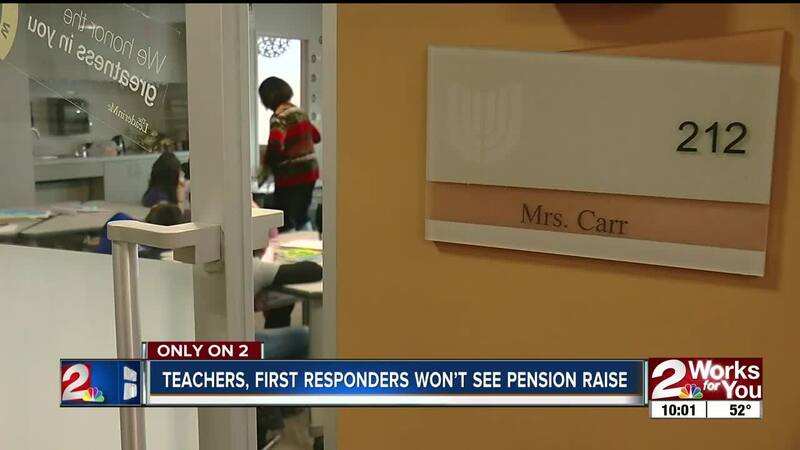 They disrespected retired teachers." The bill would've also affected the police officers and firefighters, who are also now left looking for a next step.